Contrary to popular medical belief, autism is reversible. When an 85 year-old person develops a cerebral “stroke” that causes speech (and other) difficulties, there is partial-to-complete recovery depending on the reason for the disruption of blood flow, the extent of the damage, and the underlying causes of the “accident”. When the patient is able to recover their health, speech and language therapy, physical and other therapies are begun. This time-tested treatment hastens the process of functional recovery; to loss of limb motion, loss of intellectual functioning and loss of speech and language, among other deficits that may have ensued. OK, so if an old man can recover from such a state, why can’t a little boy or girl? “Well,” the experts again explain, “that’s because autism is a genetic disease, and we can’t help genetic diseases much.” Herein lies the misconception. 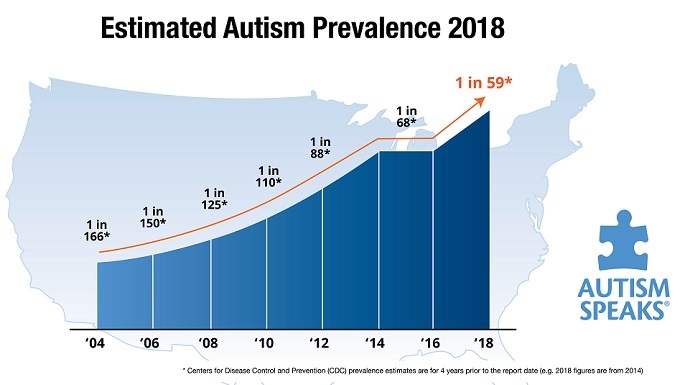 Autism has increased 500 – 600% in this century. Some of the increase is from “reassignment” or “better recognition of the syndrome”, but that only accounts for about 100% of this increase. Even with all of the money that has been poured into researching genetic causes, about another 100% increase seems to be related to some newly-discovered genetic duplications, deletions or other genetic causes. That leaves a 400% unaccounted-for increase in this Century! So, if it’s not always a genetic disorder, or only influenced by family traits, but triggered by this toxic century, then why can’t a child recover? I believe that it is because we are looking at the problem from a predetermined point-of-view. When the stroke patient is in the hospital, hooked to monitors and IV’s, taking lots of medicines and getting tested, the speech and language therapist is nowhere in sight. The patient is sick – acutely ill – and in no shape to receive such rehabilitation services. We must wait until there is recovery of health and well being before such therapies will be successful. It is exactly the same with childhood autism. We must wait until the patient is healthy to teach the new pathways and skills which a typical, healthy child will acquire. This is the goal of bio-medical interventions. Skilled physicians must evaluate the child’s state of health and maximize their nutrition and minimize inflammation or any other on-going disease. Provide the appropriate therapeutic interventions that ingrain new neural pathways that will allow recovery to take place.